Lavender is one of those colours I love, but I often think next to impossible to inject into my home. 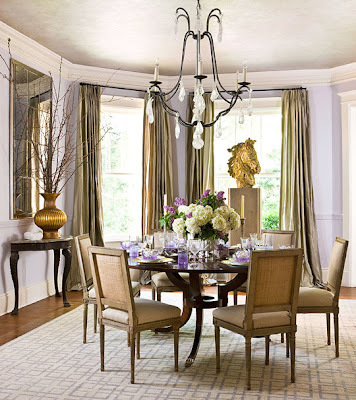 So when I was browsing the DC Design House on Traditional Home magazine and spotted this delicious dining room, I was refreshed. The warm mix of smokey silver and bronze make this room sophisticated. The ceiling is in silver leaf. And how about that fabulous painting over the buffet? What a perfect way to punch up the colour. 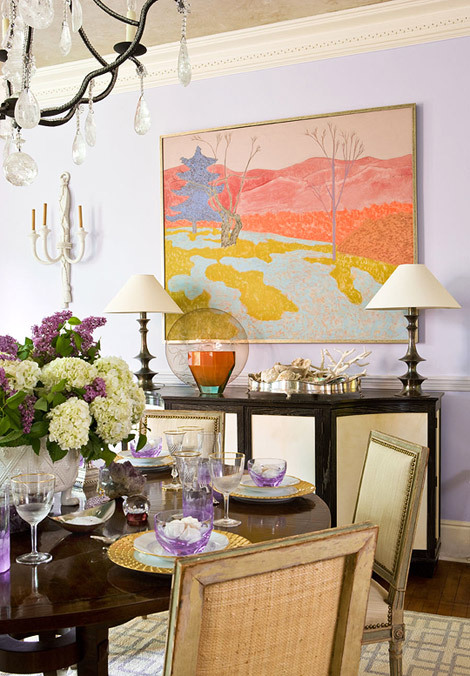 Interior designer Basha White is the creative talent behind this room.